Indonesia’s monuments and museums are found throughout the country. They represent the whole spectrum of Indonesian life, thought and history. The best-known and also the oldest in existence of the museums of art, culture and history is the Central Museum in Jakarta. Museums of natural history are in Bogor and Bandung. Of equal interest is the Sangiran museum of paleontology and anthropology near Surakarta. A small museum in this village, 15 kilometers from Solo, displays prehistoric fossils found in the region. This area is found along the Solo River. It has an outcropping of the earth’s prehistoric surface, which has yielded many major anthropologic finds. Among them were the remains of Solo Man, one of the earliest human fossils known. The fossilized remains of Java Man were found not far away in 1881 by the Dutchman Dr. Eugene Dubois near the village of Trinil, East Java. Jakarta’s Central Museum is one of the finest in Southeast Asia. 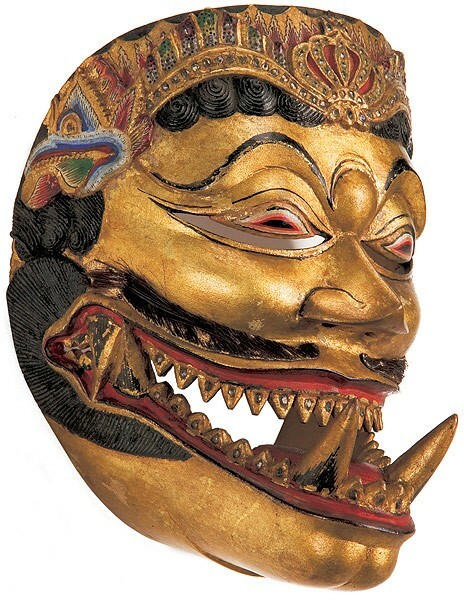 Founded in 1788, it still has the world’s most complete collection of Indonesian artifacts. Its Hindu-Javanese collection is one of the finest in the world. It has one the richest collections of Han, Tang and Ming porcelain, and an array of Chinese, Thai and Vietnamese export ceramics. Its monetary collection includes rare specimens of cloth-money used in the past in various areas of Indonesia. The National Library is adjacent to the museum. 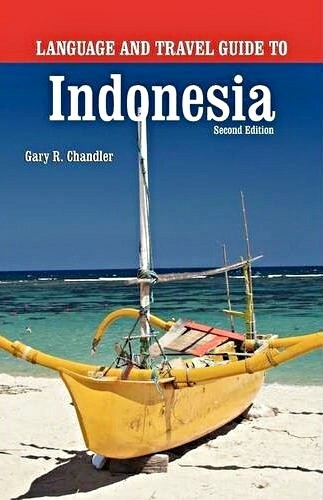 It features more than 700,000 old and recent volumes of books, manuscripts and periodicals covering virtually every subject on Indonesia. This open-air museum in Jakarta has three main structures. The first is the Jakarta Museum, which exhibits the colonial history of the city, but also includes relics from the pre-colonial past. The building on the east, formerly the Supreme Court, houses the Fine Arts Gallery and the Ceramics Museum, which contains an excellent Chinese and Southeast Asian ceramics collection. On the western side of the square is the Wayang Museum, filled with puppets used in the indigenous puppet theater. The largest part of the collection consists of wayang kulit, the popular flat leather puppets from various regions. Demonstrations of the shadow play are given every Sunday morning. The Maritime Museum is at the northern end of Jakarta. It has exhibits displayed inside the historic Dutch East India Company warehouses. In small-scale models and pictures, the museum attempts to give the visitor an idea of Indonesia’s seafaring tradition and the importance of the sea to the economy of present-day Indonesia. The museum features models of fishing boats from most parts of Indonesia, including the legendary pinisi schooners of the Bugis people of South Sulawesi. 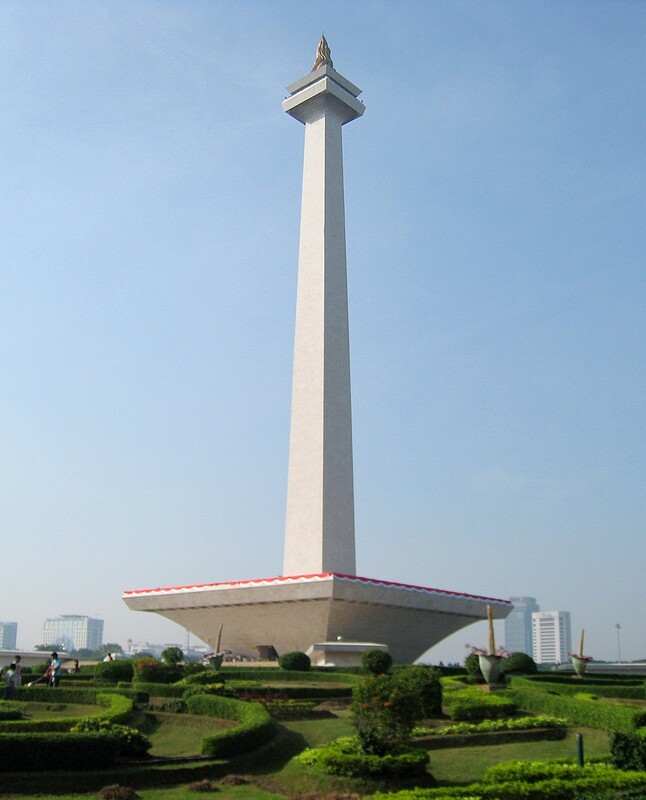 The 137-meter tall monument, also known as Monas, symbolizes Indoesia’s independence with a gold-leaf flame at the top. It faces the Presidential Palace in Jakarta. The basement of the monument houses a Museum of History with dioramas about Indonesia’s history—from prehistoric times through the present. A good portion of the display is devoted to the national war for independence, which raged from 1945 through 1949. You can hear the voice of Indonesia’s first president, Sukarno, in the Hall of Silence at the foot of the National Monument. The monument is located at Merdeka Square (freedom square). The Satria Mandala Museum, or Armed Forces Museum, is located in the southern part of Jakarta. It features an interesting collection of arms, including Japanese fighter planes from World War II, Russian and American guns, and armored cars. The Textile Museum in Jakarta has about 600 different kinds of traditional Indonesian textiles, from batik to ikat and Dayak bark cloths. In many regions, such textiles are still used to pay fines, avert illness, and mark other social and religious purposes. Some of the oldest Indonesian ornamental designs are found in their original textiles. The Museum Indonesia, a three-story structure in traditional Balinese architecture, is located inside the Taman Mini Park. The museum has a vast collection of contemporary Indonesian arts and crafts, traditional costumes from the various regions, puppets, musical instruments, masks, and a large variety of utensils and equipment used in daily life across the islands. Mannequins and replicas display the various rituals concerned with the passage of life. Founded in 1935, this museum faces the Kraton (Sultan’s palace) in Yogyakarta. It is built in traditional Javanese architecture. Its collection includes weapons, leather and wooden wayang puppets, masks, statues, textiles, curios, and old Javanese gamelan instruments. A library also is attached. The Radjapustoko Museum is located next to the Sriwedari amusement park in Solo. It features an interesting collection of art objects and mementoes from Java’s past. The Zoological Museum in Bogor has a vast collection of preserved Indonesian animal species, from birds and reptiles to mammals and conchs displayed in life-like dioramas. The museum includes a library about the Indonesian animal world as well. The fossilized skull of legendary Java Man is featured at the Geological Museum in Bandung. The museum was founded in 1929 and includes collections of fossils, rocks, minerals, volcano models, maps, and more. Museums of local culture and history are found in many provincial capitals and towns across Indonesia, including the Bukittinggi Museum in West Sumatra, the Makkasar Museum in the former Fort Rotterdam in Ujung Pandang (Makassar), South Sulawesi, and the Simalungun Museum at Pematang Siantar, in North Sumatra.